Welcome! This is the first post into the freelancer blog post series. I’ve been doing freelance graphic design throughout my career in the last 5 years, but recently I’ve gone full-time with it. It’s not always easy starting out as a freelancer, so today I’m sharing some tips, tricks, and must-haves just for you. Let’s jump in! One. Goals. Think about your goals with freelancing. Is this something you are using as a stepping stone to do full-time? Are you just doing it on the side or for fun? Or is it a way to see if you like the field as a whole? Determining your goals will help you along your journey of how to get clients and marketing yourself. Make small goals to achieve bigger ones. Two. Dreams. Dream big. You need to believe in yourself because freelancing isn’t always the easiest journey. But with hard works, big dreams and ambition, you can do absolutely anything. Let’s get to the more tangible stuff, shall we? Three. Business Cards. This should be a given, but I have noticed that a few of people don’t have business cards anymore. I’d recommend them because it’s an easy way to give someone your information to contact you. I would also recommend leaving these on bulletins around your town (with permission of course) or even exchanging them at networking events. Always keep them handy, you never know when you will talk to someone who will end up being a potential connection or client. Four. A website. A website with work you’ve done and work you want to do is a must. Even if you haven’t had specific clients with work that you’d like to do, do it anyways. Making a case study to showcase a new skill or type of work you want to do can really take your portfolio to the next level. Crafting a user friendly website for potential clients to navigate around is crucial. Five. The ability to network. I know it can be scary to go out and meet or talk to new people, but I promise it’s worth it. A lot of my clients have come from word of mouth or people I know. I’m always networking anywhere I go. Even if it’s just striking up a conversation with someone at your local coffee shop or in line at the grocery store. You never know who you’re going to meet, so always be yourself. Six. Social media presence. I feel like this is a given nowadays, but it’s so very important. Even comparable to a good business card or website. It’s so easy to create things to post to your feed or highlights that showcase your talents in other ways than in your portfolio. Presentation is everything, remember that. Find creative ways to show your work on social media but also remember to be authentic and genuine on your feed. Don’t post things just to gain likes or followers. Try to brainstorm things to post that will add value for your audience. It will take you a lot further than just posting things you don’t truly believe in or stand by. 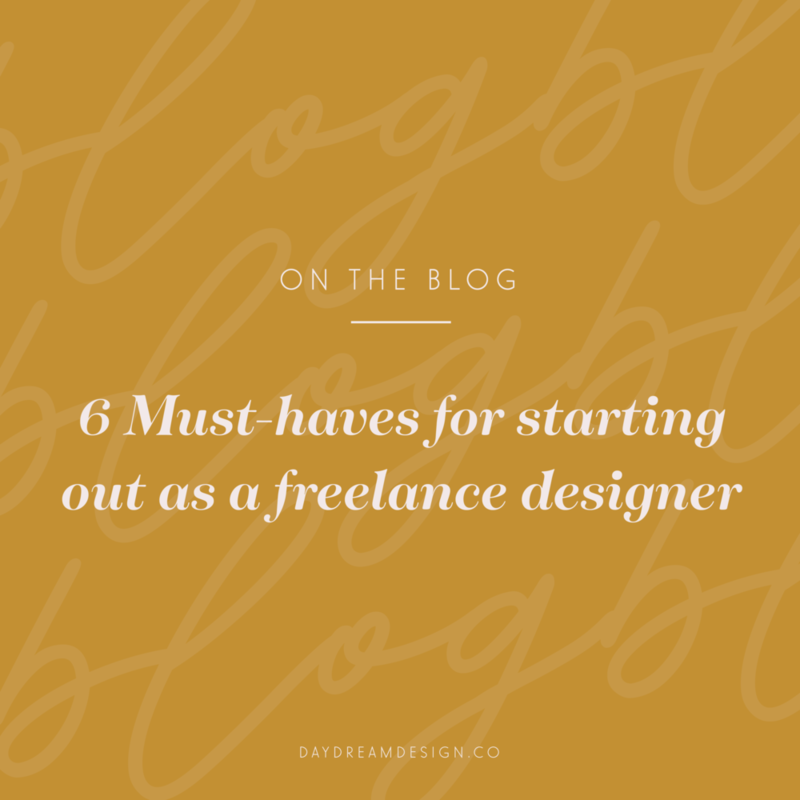 There you have it, six must-haves to get you started in your freelance journey. Thank you so much for reading!